Accommodation for short business contracts, a training course, recovery from hospital treatment, a short lecture tour or as a relocation stop-gap. Rather than an anonymous hotel room you sometimes need a proper home (with privacy and autonomy, separate living and sleeping space, and full kitchen facilities) but only for a limited time. 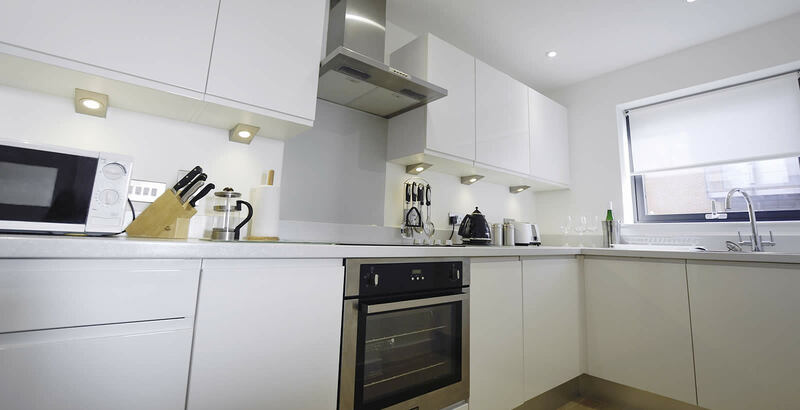 Prestige Apartments are short-term rental specialists and offer a range of quality, centrally located, serviced short lets in Southampton City. All of our properties are available for long-term letting and come fully furnished, centrally heated, with modern, fully equipped kitchens, bath and/or shower rooms, colour TV, WiFi, laundry facilities and free private parking. While Prestige Apartments are ideal as short-term business lets, many companies have also found our services very competitive and cost effective as longer-term rentals – at rates less expensive than a hotel. Our long-term lets are priced very competitively – our Ocean Village Marina properties, from £495 a week, are at reasonable market rates, please get in touch for details. • Immediate occupation – if a property is available you can move in right away. • Book weekly, or longer – our short lets can be booked on a weekly basis and there's no contract tying you into a long stay of many months – unless you want one of course! • Fully furnished and equipped – our short-term rentals come fully furnished and equipped as a home from home. • Simple sign-up and booking – while we do have our own terms and conditions (which we do recommend you read), we don't require you to sign a tenancy agreement for our short-term lets. • No large deposit – our short-term rentals don't require the large deposits often requested on long-term rentals (we do charge a modest security deposit, see our T&C page for details). Prestige Apartments offer a variety of short term lets Southampton in half-board apartments located in some of the best areas of the city. Our deluxe Southampton short term lets are the best serviced apartments in the area, including rentals in the Chapel Riverside complex and city centre locations, available with one, two or three bedrooms. There are so many benefits of choosing short term lets Southampton from Prestige. We are a family business and have been providing rental homes and room rentals in Southampton since 1890. This means we understand exactly what tenants are seeking from temporary homes, particularly within the demanding corporate lettings sector. Prestige's portfolio of centrally-located apartments provide you with service standards that are go above and beyond our client’s expectations. Our apartments are as private as your own home, but with our range of premium services, regular cleaning, complimentary chauffer pickup within a 15-mile radius, shopping and supplies delivered to your door. We always meet and greet our guests, 24 hours a day. At Prestige Apartments Southampton, we are proud of our fantastic reputation for letting exclusive apartment homes in some of the most desirable areas of the city. We have partnered with some of the city's major brands, local authorities and healthcare providers. 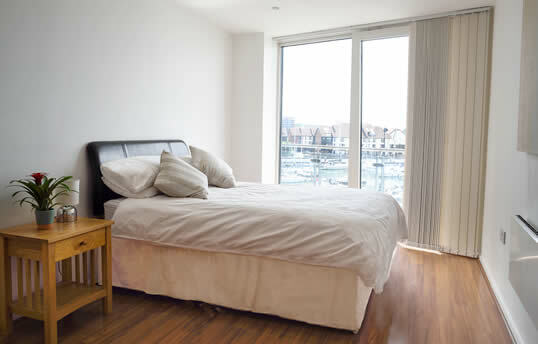 You can rely on Prestige Apartments for exclusive, luxury short-term lets in Southampton at cost effective rates. Who Would Short Term Lets Southampton Suit? Prestige offer the reliable short-term lets Southampton residents and businesses prefer. Whether you're in Southampton for hospital treatment, attending a local training course, or working on a short-term business contract, we really do provide the best business apartments Southampton has to offer. Our competitive short term lets in Southampton are idyllic solutions for business executives staying in the area for work and corporate events. All of our locations benefit from 24/7 access to staff to help resolve any queries or issues that may arise. It can be monotonous to spend several weeks staying in an anonymous hotel room where the environment can grow inhospitable and dull. Our business tenants enjoy the freedom of their own serviced apartment. It allows you to maintain your domestic routine, without the hassle of errands such as shopping or cleaning. This allows you or your staff to focus on the task at hand. Many tenants also revel in their ability to entertain clients and friends in the comfort of their serviced apartment. All of our short term lets Southampton are all in carefully scouted locations. You can choose which location suits you best, from Ocean Village with its great links into nearby Portsmouth and Fareham business parks or our Chapel Riverside spots, situated in modern, purpose-built apartment blocks with stunning views and outstanding amenities, including nearby gyms. All the properties in our portfolio are luxuriously and professionally outfitted. You can also choose from one, two or three bedrooms. We find that shared apartments suit collaborative employees and encourage team bonding. Browse our gallery to find out more about the short-term lets we offer. Don't hesitate to get in touch with us today if you would like to discuss your short-term let requirements in the Southampton area.